If you are not familiar with the brand, Go To Skincare is a cult Aussie skincare brand created by beauty editor Zoë Foster Blake and is meant to be a practical, universal, and foolproof range, designed with minimal ingredients, potent botanicals and actives that soothe, nourish, and rebalance all skin types. Go To Skincare products are cruelty-free, hype-free, and worry-free. I got this nourishing face oil complimentary from Go-to-Skincare and Octoly because it was a brand I wasn't familiar with, and you know me I live for testing new stuff, but I wasn't really expected to be woowed by it. 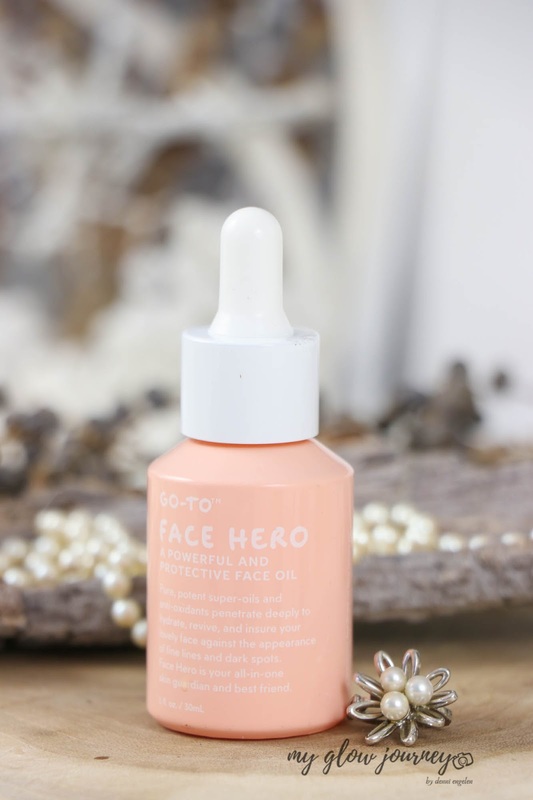 But let's start with the beginning, I tried Go-To Skincare Face Hero Oil for about six-seven weeks now, and because is winter is also the time of the ear I use prescription retinol and heavy acids; so is safe to say I did try Go To Skincare Face Hero Oil in the harshest conditions. If you are new to my blog, hi I'm Denni I'm forty-four years old, and I have chronically dry/dehydrated skin, hyperpigmentation and fine lines. So without further ado, let's get to Go To Skincare Face Hero Review. 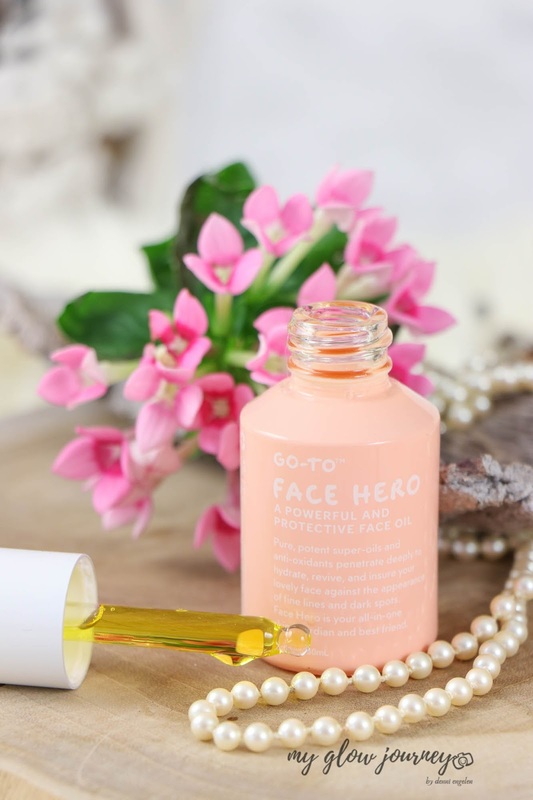 After cleansing, and before face cream gently massage four to five drops of Go To Skincare Face Hero Oil all over the face, neck, and décolletage,. If you use serums, apply those first. Go To Skincare Face Hero Oil can alsobe mixed into your face moisturiser. 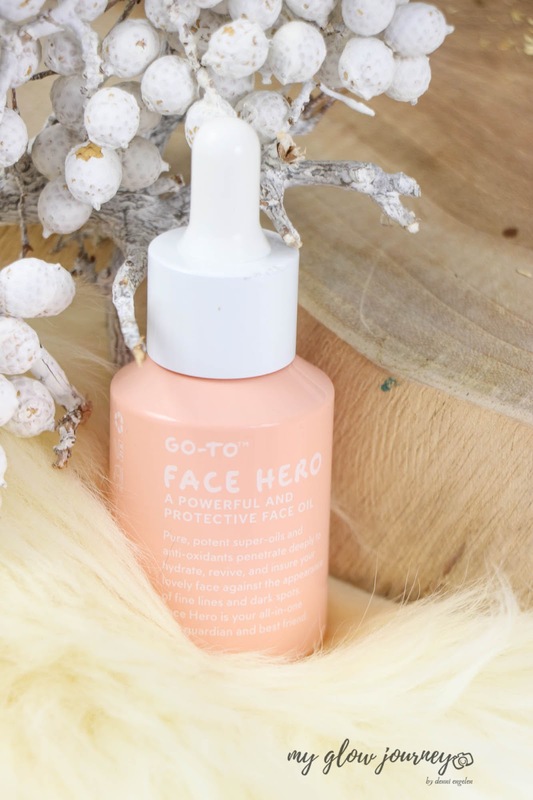 Yes, I have used Go To Skincare Face Hero Oil around my eyes with no problem. 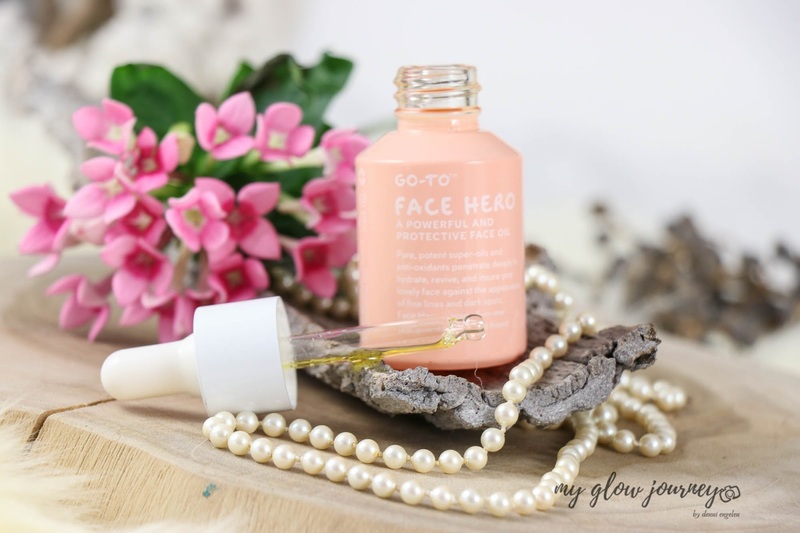 Go To Skincare Face Hero Oil comes in a millennial peach glass bottle with a dropper. Very minimalistic yet quality, I love that is not plastic as I'm trying to reduce plastic as much as I can. The oil itself is a cocktail of potent, purposefully selected plant and nut oils, green beauty, minimal ingredients, very effective. Love it! It is not a dry oil per se but once applied on the face penetrates quickly, and it leaves zero residues! Skin felt soft, soothed, glowy, and it can be worn under makeup. Not easy to be photographed ... kidding.. partially. Seriously speaking I wasn't able to find something to complain about it. 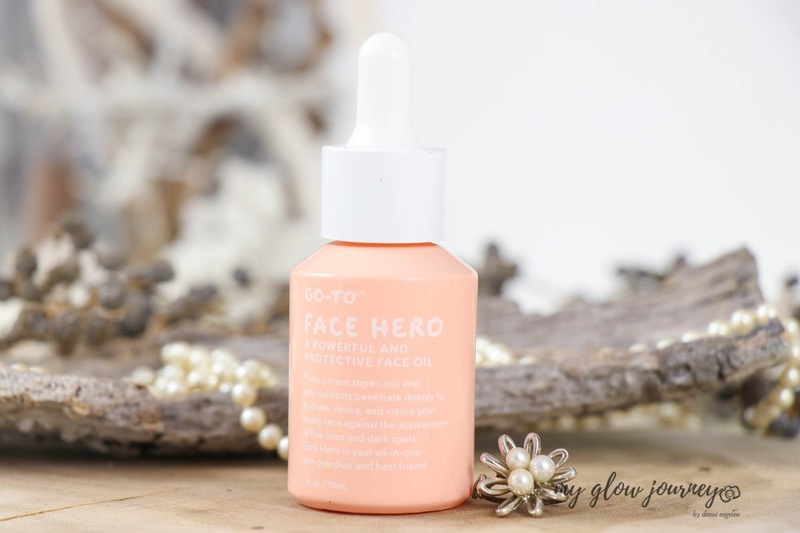 I chose to try o To Skincare Face Hero Oil because it promised to hydrate, revive, brighten while fight against fine lines, dark spots, dryness and ageing inflammation. Basically all my face problems at once. So, I have been using this oil religiously for the past six, seven weeks mostly in my PM routine or gym routine but for the sake of testing I also use it in my makeup days. 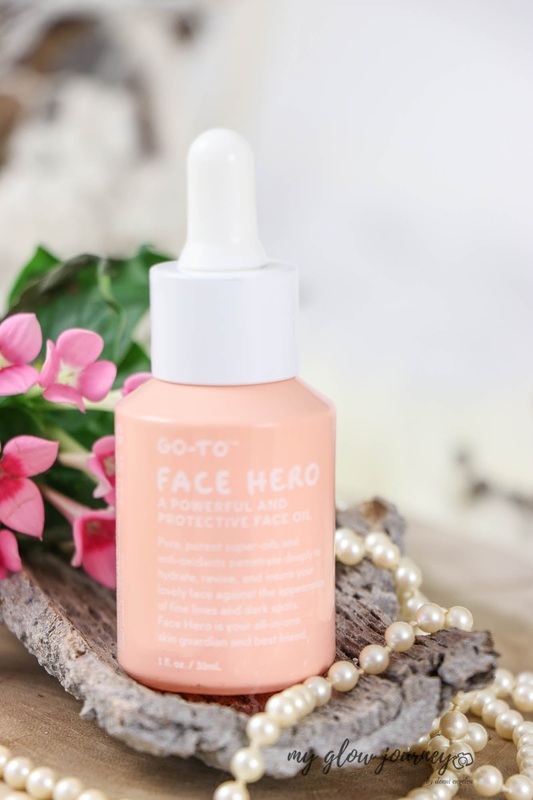 Go To Skincare Face Hero Oil is loaded with essential fatty acids, vitamins and antioxidants that not only nourishes the skin but also has anti-inflammatory properties. When I use it overnight, I wake up with plump and glowy lit-from-within skin! While I was using this oil, I have not experienced any skin shredding from retinol use, and it calmed down my sensitivity. When I use it under makeup, it makes my skin look glowy, plump and hydrated without compromising the longevity of my makeup. 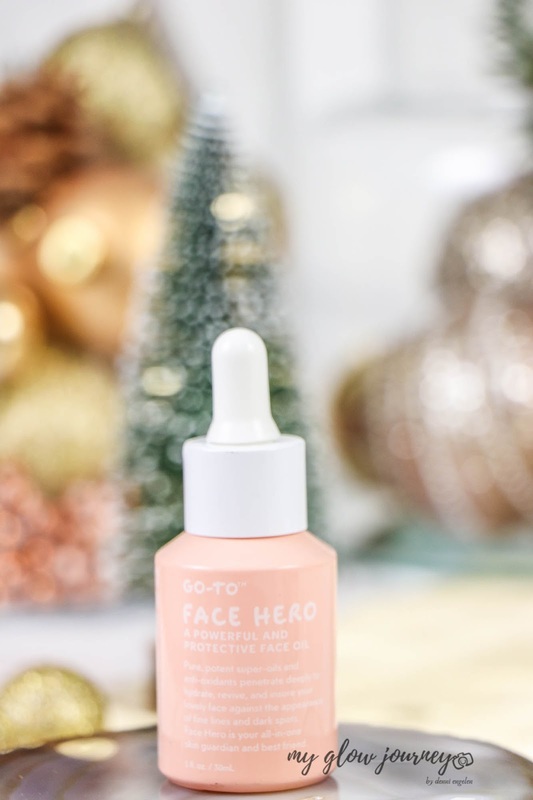 Overall my experience with Go-To Skincare Hero face oil is, and I would recommend it for normal and dry skin especially now in the winter months. Yes, I would; also I would like to try more from them. What else would u like me to review next ?